Should you start SIP now in mutual funds in volatile Markets? SIP is your best friend in volatile markets and should ideally be used by investors to create wealth over a long term. You should ideally Start SIP now in mutual funds for a tenure of 7 years or more for power of compounding to work for you. Small, simple things in SIP can make a big difference in your investments. SIP’s as investment option can truly be called the eighth wonder of the world. During volatile markets SIP’s buy more units of mutual funds when prices are down and buy fewer units of mutual funds when prices are up. Rs 10,000 invested in Mutual Fund A – at NAV of Rs 50 (price of one unit of Mutual fund) gives you 200 units, but if NAV goes down to Rs 40 then Rs 10,000 invested in Mutual Fund A, is at NAV of Rs 40 (price of one unit of Mutual fund, Start online mutual fund SIP) thereby giving you 250 units. This happens automatically and gives you great benefit in 10 years time. Automatically brings discipline to your investments. Instead of investing (Start online mutual fund SIP) a fixed amount in FD’s every month, SIP’s are a far better alternative. SIP investments will give you the best returns over a long period of time. You will face volatility during your journey, but SIP’s will make market volatility work for you. SIP is your personal trainer who gets up and gets you running even when you don’t want to. Let your SIP investment run for a long time and it will do wonders for you. People invest in real estate, gold, debt for long periods of time, but if they invest in equities through SIP in mutual funds – they would make higher returns in 20 years. 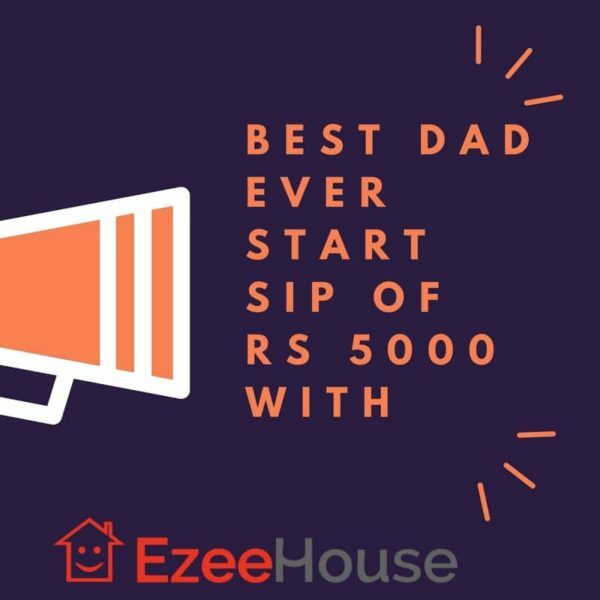 To Start SIP now you can download Our EzeeHouse App from Google play Store.